This item is now available on the EU Blizzard Store for 12 Euros or US Blizzard Store for $15. As Cosmetic Armor, it can be transmogged onto any cloth, leather, mail, or plate helm. It's a fiery helm with blazing horns--the glowy effect is a bit over the top with our modelviewer, be warned. Salvaged from the remains of the fallen minions of Ragnaros the Firelord, this helm sets you apart as a glowing beacon on an otherwise crowded battlefield. Where’s the rally point? How about by that guy with the RAW ELEMENTAL FIRE emanating from his forehead? With tauren you have 4 Horns what is absolute Mind Blow! Originally intended to be a drop from Ordos after completing the MoP legendary quest line. This item was later re-purposed to be one of first three cosmetic items to the Blizzard Pet Store. Data-mined in late PTR of patch 5.2 and announced to as an upcoming Pet Store item on 7/12/13. This item will also come coupled with an in-game store in patch 5.4 in select regions*. *Region availability may be expanded to all legal regions in the future. Does anyone have an idea of how much this might be? View in 3D... Cool I always wanted to be Chamber from X-Men. Some men just want to watch the helm burn. Anyone else seeing the Monarch's eyebrows? Wait a minute! That's insane! They're total liars. I kept my mouth shut when Dean said he could read Sanskrit, and when Hank said he wanted a piece of him, I was like 'Fine. Whatever. ', but Mecha-Shiva? No way! They are so lying, I'm innocent! I wonder if the fire effect also Works for the eyes . If it does I want it ! . But they should just try to do a thing like this : only glowing eyes like fire , and you could look like arthas with your helmets . can you imagine it ? 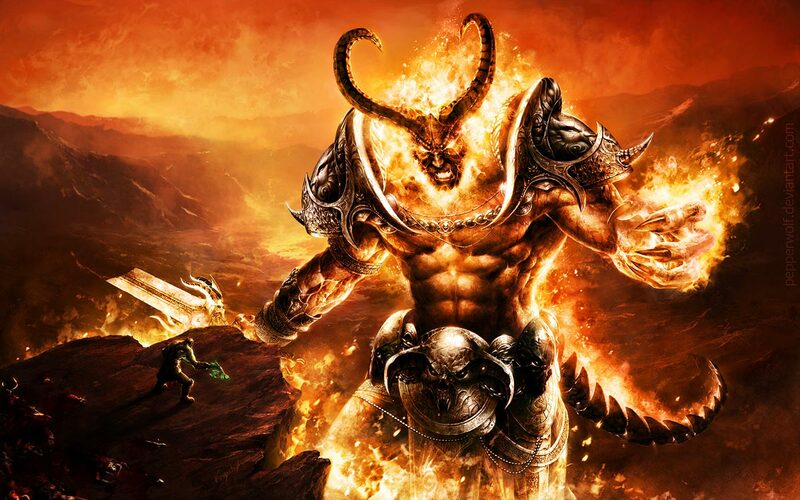 combining helmet of illidan with fire effect on your eyes O.o awsome ! These items are designed to be transmogged, and cost £10 each, 12euro or 15$. 15$ does seem quite steep, considering it's only a helm that's transmogable. It's a good idea by Blizz to implement these unique tmog items, but for that price I doubt it'll be a success. Welp, the 3D viewer just blinded me. I know some of you are probably coming here looking for transmog ideas, while perculia's comment lists some nice ideas for plate, cloth, and mail, where is all the leather? After purchasing this helmet today, I scoured atlasloot and wowhead for hours searching for a set to go with this amazing new helmet. Here is what I am currently using: http://www.wowhead.comwww.wowhead.com/compare?items=19139;19162;30776;30780;30778;95474;45142;16982. If you are interested in using a cloak for this set, Cloak of Firemaw. Another interesting Sword option that I intend to try out for myself is Vibro Sword. For those of you who are using a fist weapon, Talon of the Phoenix fits very well into this set. There are many different mace options to pick from, but if I had to pick one it would be Gladiator's Pummeler which is easily obtained for 750 honor in Netherstorm. Last but not least, a dagger. Now, I am no rogue, so I cannot use a dagger, but if I had to choose one I would choose one, Feeding Frenzy or Malchazeen. I hope you all found this useful, and good luck in your transmog endeavours. I mostly got this for my alliance toon who hasn't had quite as long to collect transmog pieces and therefore does not have a helm of any type to go with her outfit however, I LOVE it, it is definitely worth the $15 if you've always wanted horns but can't find any in your specific class or gear type (like mail wearers for example). I'm currently using it on my horde and alliance toon and have only seen two other people with it. Personally I'm glad blizz made it $15 instead of $5 so I don't have to see every dang person on my server running around with the same helm as me. I'm also glad they released three instead of only one. Lets hope they keep coming up with awesome ideas, I will gladly buy more amazing transmog items for my toon with real money, I like it way more than mounts for money, I have too many mounts already to justify spending $25 on one that I'll probably only use every once in awhile, though that goat thing they released in MoP is pretty dang cool. Shine bright like a diamo- OH GOD MY EYES! WHY DID I CLICK VIEW IN 3D? Are all part of a new transmog set that you can buy from the Blizzard store for $15.00. I've got one question - are these gonna change their colors into fel green for the warlocks that have finished their quest chain for The Codex of Xerrath? When normal eyebrows just won't do. In my opinion, screenshots don't do this helm justice. It looks phenomenal in game. Sureeeee, Blizzard. I'll buy that. But I am quitting for a month. So you don't get anything more than my $15 monthly payment. does anyone have a screenshot of this on a tauren female by chance? Along with some pieces of fiery-looking armor and an axe as a weapon, a Tauren could use this helm to look just like Ordos ! I have two questions about this item : Firstly , why don't they add more horns with different color and forms ? Secondly , where is the wings ? I'm seriously , horns should be in combo with wings . May go pretty well with the Battleforge/Blood Knight mail armor set XD. I'd buy this in a second if it came in green fire...come on blizz! I guess that developers should add more helms with such horns. Different classes want different colors. This will be fair enough. By the way, a pair of the Alysrazor wings might fit for this helm. View in 3d, choose the Warlords Male Orc model, play the Applaud emote. Sadly these Blizzard store helmets doesn't seem to have been added in Atlasloot. Blizzard: "We know you guys were worried about bag space, so here's an item that is sent to EVERY SINGLE ONE of your characters. You can thank us later, especially if you bought all three cosmetic helms!" Players: "No thanks Blizz, you can keep it..."
Hopefully Blizz is looking into this issue with the upcoming Toybox feature. More information: here. Unfortunately, human female eyes don't have a flame glow since the character models upgrade. It's clipping behind the eyeballs. These dont seem to be sold anymore (they arent listed in the ingame shop). Wish they would add them again and also make new ones, i've always wanted red glowing eyes for my orc warrior. I supposed "Firelord" is referring to Ragnaros here, but I see Sargeras in the modelviewer! No comment after 5 years? is this still obtainable?